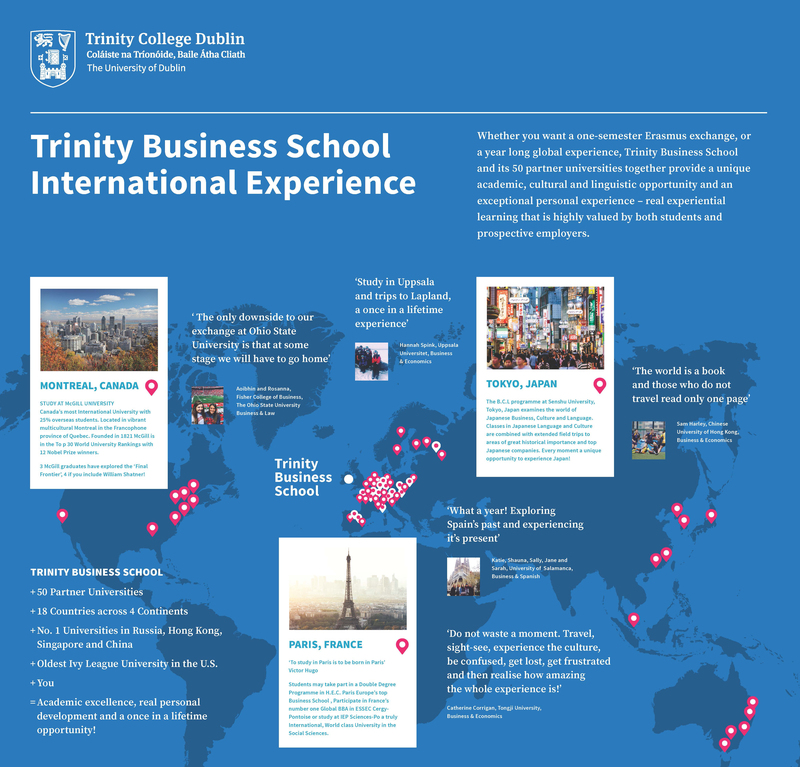 In your third year you will have the opportunity to study abroad for the full year with one of Trinity Business School’s European partner universities and experience a unique academic, cultural and linguistic opportunity and an exceptional personal experience. Do not waste a moment. Travel, sight-see, experience the culture, be confused, get lost, get frustrated and then realise how amazing the whole experience is!